Brisbane City Council has resulted with the scrapping of development height limits on sites spanning over 3,000 square metres. Sites from the riverside Howard Smith Wharves all the way to Milton are set to see their skies change for good. Federally mandated aviation airspace is currently capped at 274 metres, with penalties applying for those who exceed the limit, including the council. The current plans include buildings exceeding the 274-metre cap, with some soaring to 300 metres; the council mentioned any increase would be “tinkering with the edges”. In 2013, flight paths were determined to ensure flights over the city were minimised to reduce noise in southern suburbs, meaning very few planes would need airspace where buildings exceeded the capped height. 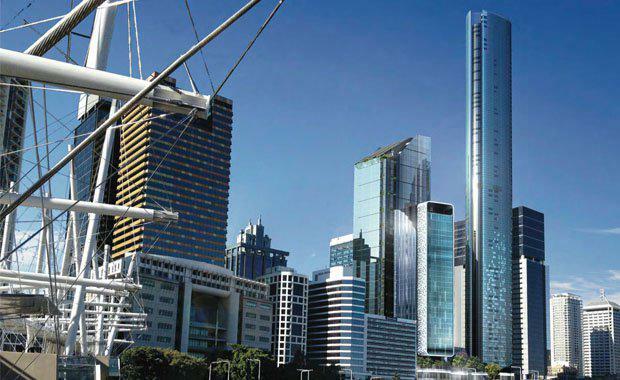 Brisbane City Council Lord Mayor Graham Quirk told The Australian said the council needed to discuss whether some of the city’s building height levels could be changed. “It’s a conversation we have to have with aviation authorities… we need to know genuinely what are the heights,” Mr Quirk said. “If there are restrictions, in what areas, and in other areas is there flexibility?” Mr Quirk said. A spokesperson from the Department of Infrastructure and Regional Development stated regulations already allow for development within prescribed airspace so long as safety of both residents and future air transport is not compromised. “There have been no changes to Brisbane’s prescribed airspace to accommodate tall buildings,” the spokesperson said. Despite this, developer demand for taller buildings is high and with council plans to grow the city over the next 50 years, buildings exceeding the capped height may become a reality. Taiwan’s Shayher Group has also released plans for an apartment tower at the edge of the height limit at 300 George Street.